So you plan to visit St Lucia. You have never been to the Caribbean so you are wondering what you can do beside take in the sunshine and the beautiful beaches. 1. If you are interested in culture there is a lot for you to do in St Lucia. You can visit the Folk Research Center (FRC). 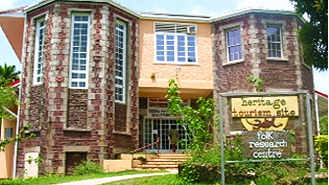 The center was established in 1973 to do research, document and display the cultural heritage of St Lucia. The center is located in Mount Pleasant, Castries and is open Monday to Friday from 8:30 am to 4:30 pm. Some of the highlights at the center include its extensive library of publications, audiovisual recordings, photographs and videos of St Lucia's folk culture. Or visit their website Folk Reserach Center. 2. If you like nature you can do the Tet Paul Nature Trail. We know you're on vacation and want to take it easy, but this trail is fairly easy and at most a moderate hike. Beside getting in some exercise you will also learn about some of the many plants and their uses including health benefits and otherwise, as well as the history and culture of the village surrounding. An added bonus on the hike is the breathtaking view of St. Lucia's highest mountain - Morne Gimme, as well as the surrounding villages of Chousiel, Laborie and Soufriere. The Soufriere Regional Development Foundation (SRDF) manages the Tet Paul Nature Trail with the support of the Tet Paul and Chateau Belair Tourism Association. Or visit their website Soufriere Regional Development Foundation. 3. 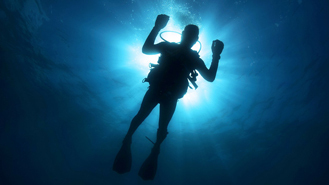 If you are into diving or want to learn then there are lots of options for you. Many of the dive operators in St Lucia offer courses geared towards the beginner straight up to the advanced certification. St Lucia has a number of breathtaking dive sites filled with exotic sea wildlife. 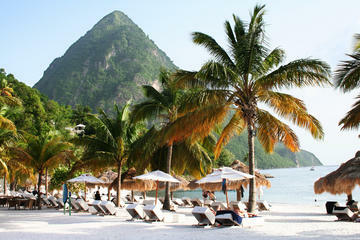 For a list of dive operators you can visit St Lucia Now. There are many dive sites in St Lucia including Anse La Raye Wall, Superman's Flight, Bone Yard, Bird's Rock, Smugglers Cove, The Blue Hole, Coral Gardens Anse Couchon, Turtle Reef and Pigeon Point. 4. 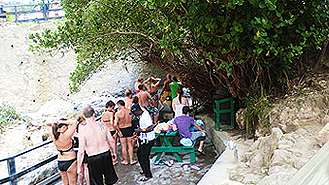 If you want to try something new, you can visit the Sulphur Springs and take a mud bath in the bubbling ponds of Soufriere sulphur springs. It is described as the only drive in volcano in the world. According to local legend, it will make you look and feel younger. You can also purchase sulphur blocks at the site in case you believe in its benefits. 5. 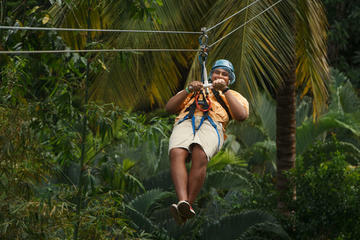 For the more adventurous among us you can do a Zip Line tour through the forest. We actually did the Adrena-Line Canopy Zip Line Tour.It is actually advertised as being not for the faint of heart. 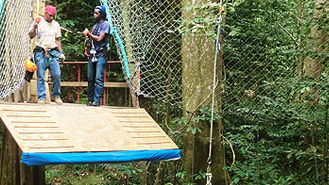 Starts with a leisurely stroll through the rainforest and then you encounter the Floating Stairs, Eagle's Claw and canopy from tree to tree with 18 platforms. Must admit it was exciting. 6. 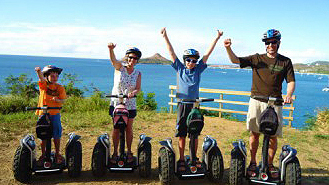 Segway is great, but riding a Segway on a nature trail, Priceless! The tour takes you up to Mount Pimard where you will enjoy the breathtaking view of the North Coast of the island. You begin with a short practice session and then you set out on the nature trail created on an old US WWII military base. Along the route you will encounter Pebble Beach, Stone Face Fish Pond and Belle View Point. 7. If you are interested in serene beaches, some history and a fun day out, a visit to Pigeon Island should definitely be on the cards. The Island actually has an interesting history. 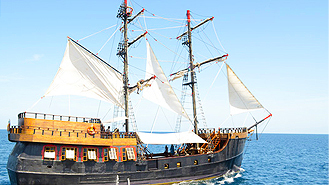 It was once inhabited by Amerindians then occupied by French Pirates. Pigeon Island is a National landmark and encompasses two private beaches, Amerindian caves and amazing panoramic views of Fort Rodney and Signal Peak of Saint Lucia’s northern coastline. 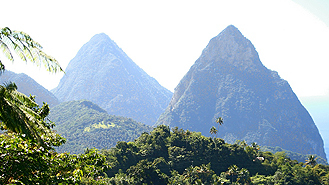 Or visit their website Saint Lucia National Trust. 8. 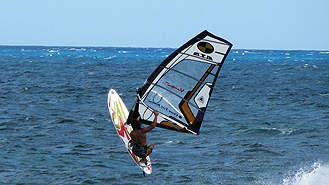 If windsurfing & Kitesurfing is your thing or maybe you want to experience it for the first time then you are also covered. The Reef Kite & Surf, Anse de Sables Beach	will	get you started if you are a beginner or facilitate you if you have done it before and consider yourself an expert. Novices can learn the basics in courses of 6 to 10 hours. They start with an introduction to power-kite flying to get used to the kite`s pull an the technique of steering it. 9. So, you have been on the island for a while now and you're looking for something else to do. How about a cruise? 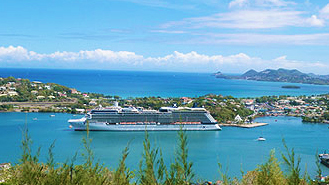 Maximum relaxation and a chance to see St Lucia from the sea. There are several options available, and tours include swimming, snorkeling, visits to the Toraille waterfalls, the drive-in volcano and lunch. 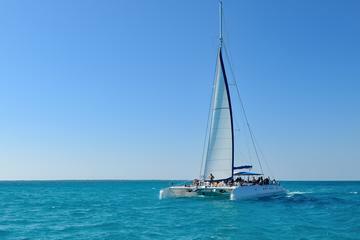 Options include day cruise and sunset cruise as well as the choice from a fleet of three catamarans and a gaffed rigged schooner. 10. Now you have decided that you want to go on a road trip. You want to see St Lucia like the locals. One of the tours we did was about 5-6 hours long. We visited a banana plantation, fishing villages (Anse La Raye and Canaries), and also Marigot Bay. We also went to Soufriere volcano, Toraille Waterfall and Jalousie Beach. We stopped for breakfast along the way, where we were served local fish cakes, Johnny cakes, coconut cakes, and a variety of local fruits from St Lucia. Included on the trip was a mobile bar with rum punch, water, local beer and sodas. 11. 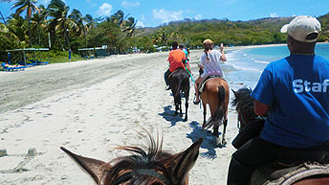 If you love horses, or you have always wanted to ride one, well then you can get it done in St Lucia. What makes it even more excited is you get to ride the horse in the sea. We booked a two hour ride from the Trims National Riding Academy. We went through farmland, pastures and hills to the Atlantic Ocean. When we get to the beach we removed the saddles and rode our horse directly into the ocean. It was fun! We love to eat & drink. We love great food, drinks and fun. 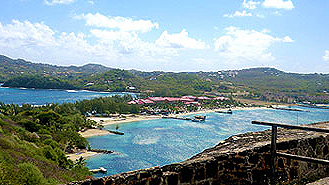 Wine & cocktails when we visit Caribbean, Latin American & European Destinations. View our travel photos, travel videos as we explore new cultures and places.